Along with neighbors who enjoy hiking tranquil trails and families who bring their children to play on the playground at Hidden Pond Park, over 50,000 people visit the nature center each year. Many of them venture to the pond to see the frogs, turtles, and other aquatic life. Children participate in netting programs where they learn about insect larvae, damselflies, and diving beetles by scooping them out of the water. But the popular pond in Springfield has a problem, and Manager Jim Pomeroy is reaching out to neighbors for help. Duckweed grows on the surface of Hidden Pond. 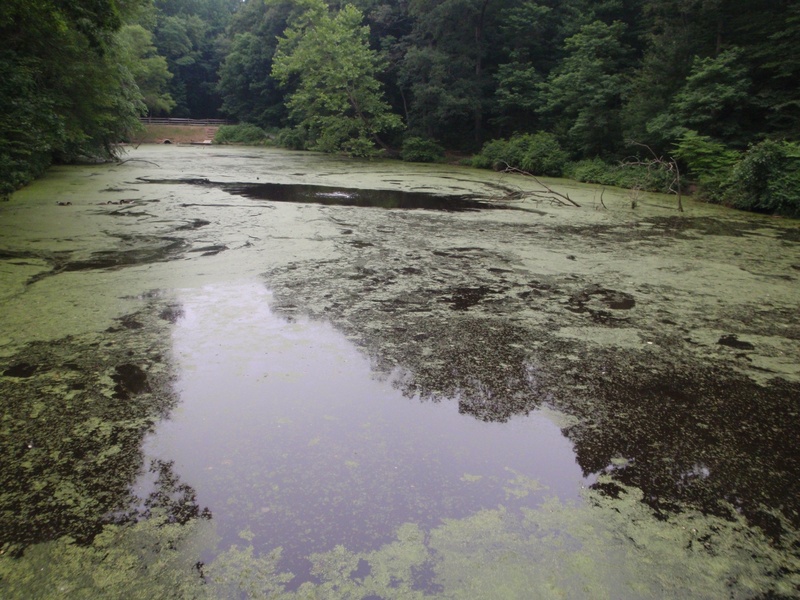 Each summer a thick, unsightly mat of duckweed spreads across the surface of the pond. This floating layer of green inhibits the nature center’s ability to use the pond as an educational resource, and its unattractive appearance may have an adverse effect on visitation during the summer months. To combat the annual duckweed scourge, Pomeroy, with financial assistance from the Friends of Hidden Pond, has mailed letters to over 500 households in the neighborhoods surrounding the park to explain the problem and offer a solution. “Duckweed is a very real problem, and I intend to make a dent in it through education and awareness,” said Pomeroy, who welcomes calls and visits to discuss the issue. “We want to take care of an important educational resource and, hopefully, this outreach helps our neighbors become better acquainted with us and they come enjoy the park,” he continued. Duckweed is a small, floating plant with a single root that dangles beneath the surface. It provides food for fish, waterfowl, and other aquatic life and naturally occurs on most ponds. But given the right conditions it can take over by forming dense colonies which effectively block sunlight from reaching submerged aquatic plants. As the vegetation is snuffed out, the entire pond habitat suffers. Aquatic animals and fish lose their food source and shelter, and the pond’s reduced oxygen levels make it difficult to support life. According to Natural Resource Specialist Kristen Sinclair, “Duckweed responds really well to bursts of fertilizer. It acts almost like an algal bloom and does very well in shallow, stagnant water.” This is where Pomeroy thinks neighbors can make a difference. In developed areas, like the neighborhoods surrounding the park, one of the major contributors to excess nutrients in waterways comes directly from lawn runoff. When it rains, fertilizer not taken up by turf is carried down storm drains and into streams, rivers, and ponds. “If residents were to fertilize in an environmentally way, it would have an effect,” he said. 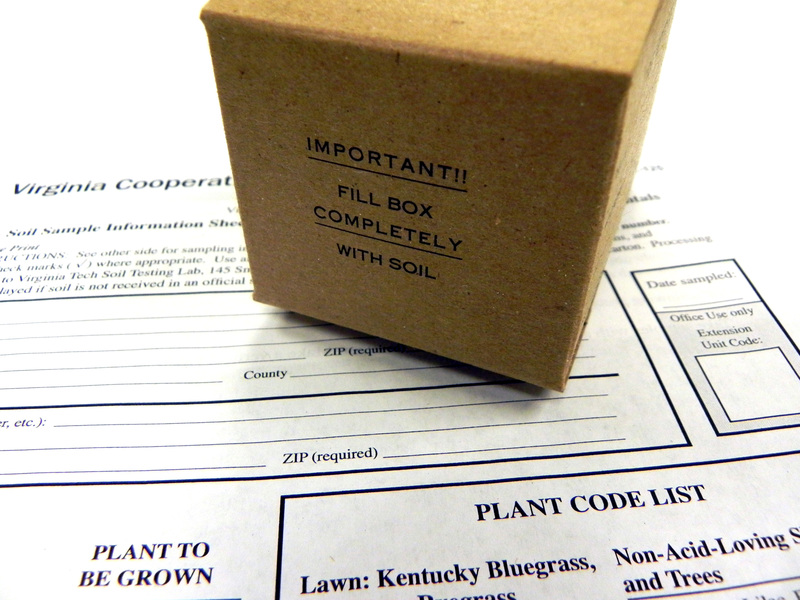 Soil test kits help homeowners choose the correct about of fertilizer for their lawns. In his letter to the neighbors Pomeroy suggests a solution to limiting over-fertilizing and preventing under-fertilizing. 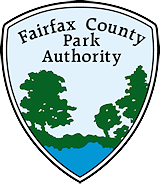 Residents can learn exactly what their lawns need by testing the soil with a simple kit available at the nature center and at all Fairfax County public libraries. The kits have instructions on how to collect a sample and where to mail it for analysis. The fee for a routine analysis is $10, and recommendations are usually generated within three working days. Pomeroy points out that homeowners and homeowners associations that rely on lawn care services may request soil testing and ask that they be conservative in what they apply. Taking a simple soil test may save neighbors money on fertilizer, will certainly benefit the environment, could help alleviate Hidden Pond’s duckweed problem. The duckweed problem isn’t a new one at Hidden Pond, but it’s one Pomeroy has seen grow measurably worse during his 30-year tenure as manager. Pomeroy and his staff have tried different ways to control duckweed over the years, but nothing has been able to stop its spread. A common method for removing duckweed is to simply rake the pond’s surface in the same way leaves are raked in the fall. “We tried paddling around in a jon boat and scooping it out, but it grows faster than we can possibly remove it,” Pomeroy said. A notch was cut into the wooden flashing to allow more duckweed to exit the pond during rain events, but it wasn’t effective. In 2009, an aerator was installed to stir up the water column and force oxygen into the deeper areas. This tactic helped, but it just wasn’t enough. Children use nets to explore Hidden Pond. Applying aquatic herbicides has been suggested since it seems to work well for golf course ponds. However, these chemicals are not very selective and will kill virtually all submerged aquatic vegetation, such as various arums, buttonbush, and water lilies. 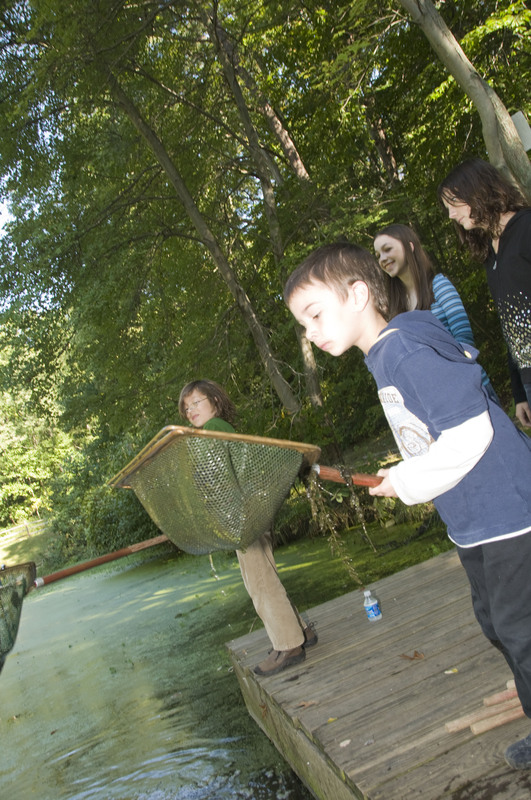 “Because we use the pond as an educational resource, we have plants in the pond we want to keep. That ties our hands as far as using herbicides. The whole system would be lost,” explains Pomeroy. New methods of adding various enzymes and aerobic bacteria to digest decaying plant matter which would deprive duckweed of nutrients have yet to be proven safe and effective. “It’s a very tough problem, especially in older, woodland ponds where leaves continuously fall into the water,” said Pomeroy. “We encourage a lot of vegetation along the shore to take up excess nutrients,” he added. Pomeroy and staff have also planted cattails and other aquatic vegetation in a small pool above the pond designed to capture sediment, pollutants, and excess nutrients. Of course, weather plays a big role in the health of the pond. If the area receives adequate rain throughout the summer, the pond is constantly refreshed and the duckweed can’t flourish. Conversely, during prolonged periods of drought the problem is much worse. So until the results of the soil tests are returned, a wet summer may be the only deterrent to duckweed’s return. This entry was posted in Uncategorized and tagged Duckweed, Hidden Pond, Hidden Pond Nature Center, Springfield on April 9, 2012 by Fairfax County Park Authority.